More years ago than I like to think about, my dad bought me a complete Sherlock Holmes collection from a bookshop in Newark marketplace. I’ve still got the same book today and return to it every few years, unable to do anything but read each mystery in order. The cover has come off and the font is tiny, but it includes illustrations by Sidney Paget and mimics layouts from The Strand. The volume seems so dense that it’s countless passages of reason and deduction must spill out into the house at night and slip into my mind. Yet it’s often been The Hound of the Baskervilles that I’ve thought about, with its sense of creeping thrills and unworldly beasts standing alone from the many others. This is parent thanks to Paget’s immaculate work. There’s an image of a man alone on the moor that I see in my mind today just as clear as any of Holme’s great solutions. 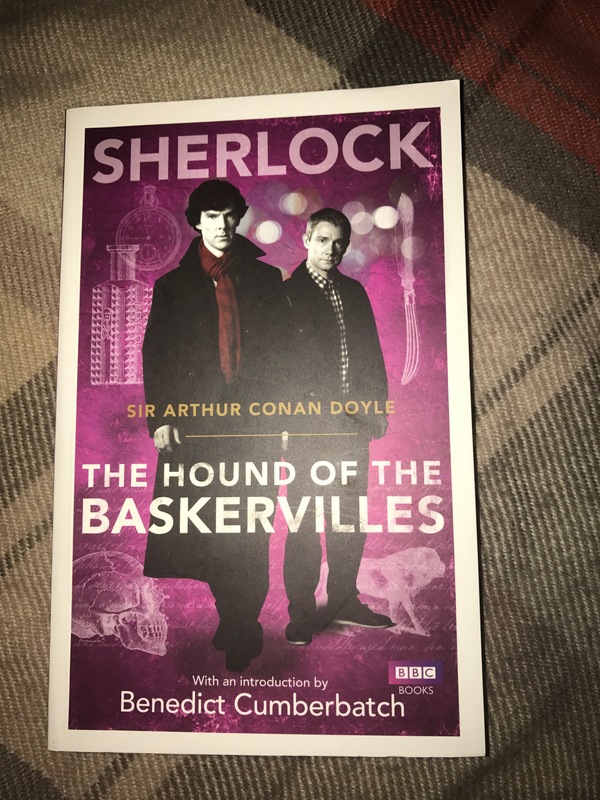 The Hound of the Baskervilles is the third full-length Sherlock Holmes novel, following A Study in Scarlet and The Sign of Four (the latter of which is also on my list to read). It’s also the first story Holmes appeared after his supposed death in The Final Problem, albeit this story is set earlier in his life. The Hound of the Baskervilles follows Holmes’ investigation into the death of Sir Charles Baskerville, who passed away in circumstances all too similar to a legend that had plagued the Baskervilles for centuries, that of a cursed hell-hound which stalks the men of the family. Sending Watson to live with the incoming heir, Henry, Holmes sets out to follow a series of seemingly unconnected leads to prove the hound is no immortal spectre but flesh and blood. Unlike most Holmes stories, with The Hound of the Baskervilles, Doyle puts tone and atmosphere to the forefront. Where most follow a series of unsolvable clues and deductions, Hound takes times to set up characters and a sense of place. There’s a clear influence in every scene set on the moors of Wuthering Heights as the tension a chills build to crescendo. Perhaps it’s because Doyle has already tried to rid himself of Holmes, but The Hound of the Baskervilles works almost without the famous detective. In fact, for much of the novel, we follow Watson as he attempts to solve the riddle along. As Dauntless Media explain, this “decision also robs the book of the opportunity to watch Holmes and Watson working together”, a key reason the stories had been so poplar. It almost feels like Doyle is laughing at us by making his most famous Sherlock Holmes book nothing like a Sherlock Holmes book, even down to Holmes’ absence. It’s a testament to the underrated brilliance of Doyle that it’s this novel more than any other he’s remembered for. The Hound of the Baskervilles is one of Le Monde’s 100 Books of the Century. Sir Arthur Conan Doyle is best known as the creator of legendary detective Sherlock Holmes, whom he featured in 4 novels and 56 short stories. Doyle wrote novels beyond Holmes but will always be remembered for his impact on crime writing.